Another fire display, this one was hooked up to a stethescope and the flames pulsed at the rate of the heartbeat. The banner in the background is lit by the big fire ring behind me. 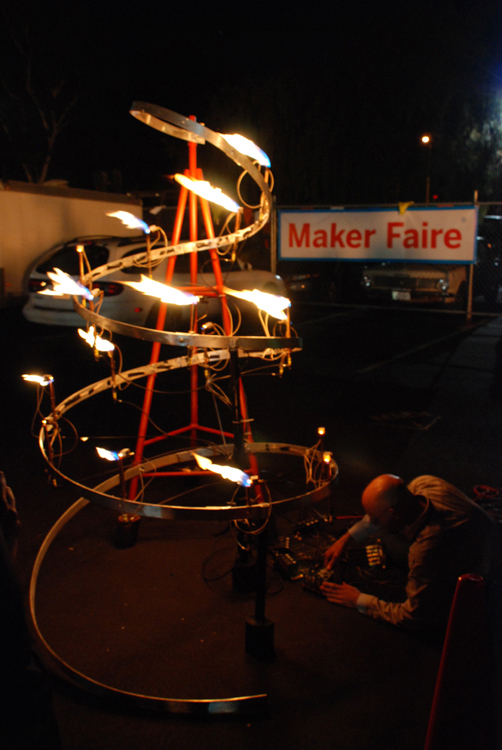 And that's all for the Maker Faire!